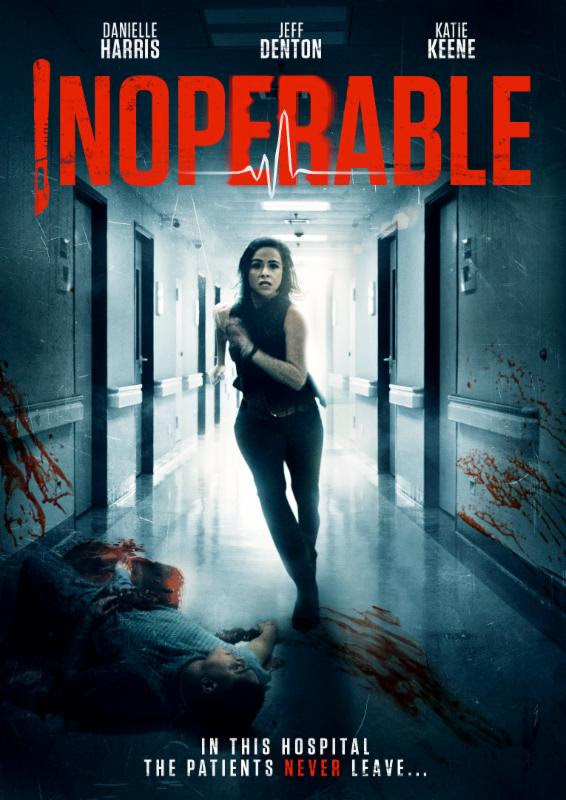 Zorya Films and Millman Productions are putting scream queen Danielle Harris under the knife with the December 1st theatrical release of Christopher Lawrence Chapman's INOPERABLE. Harris (HALLOWEEN 4 & 5, Rob Zombie's HALLOWEEN, the HATCHET franchise) stars as Amy, a hospital patient who must battle nature and the supernatural before she ends up trapped for eternity. Chapman directed from a script he co-wrote with producer Jeff Miller. INOPERABLE is out 1st December in Los Angeles, New York, Atlanta, Houston, Phoenix, Tampa, Miami, Orlando, Cleveland and Minneapolis for week long runs.